ATHENS (Reuters) – Around 20 Greek anarchists tried to storm the civil protection ministry on Monday in solidarity with a hunger-striking member of a guerrilla group, jailed as one of the hitmen behind a decades-long campaign of political assassinations. Dimitris Koufodinas was convicted of multiple murders and other crimes in 2003 and is serving several life sentences. He was one of the operational leaders of the November 17 militant group, which carried out 103 attacks and killed 23 people, including U.S. and British diplomats, during a campaign of shootings, bombings and bank robberies from 1975-2002. While Greek politics no longer features assassinations by violent urban guerrilla movements, some members of self-described anarchist groups still sympathize with the aims of older generations of militants. 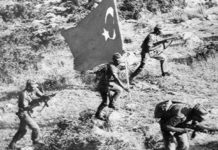 Greek police spokesman Theodoros Chronopoulos said around 20 people from a group called Rouvikonas had been detained trying to storm the ministry. The group threw pamphlets demanding that Greek authorities grant a furlough to allow Koufodinas to leave jail temporarily. In a statement uploaded on the Internet, the group also said that its action was a protest against the arrest of 12 of its members whose trial begins on Tuesday for a campaign of protests involving vandalism and trespassing. Koufodinas started a hunger strike on May 30 because authorities refused to give him a leave of absence from jail. He was transferred to an Athens hospital last week suffering dehydration. 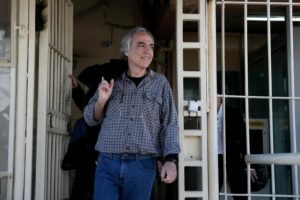 Koufodinas has already been given short leaves from prison under parole board rulings that triggered a storm of protest and expression of regret from London and Washington. Rouvikonas has staged a number of “invasions” of premises ranging from politicians’ offices to embassies and ministries, typically smashing office equipment and spray-painting walls. 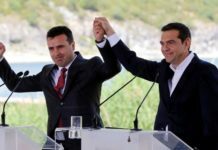 Members of the group are rarely detained, prompting criticism from opposition parties and conservative politicians who accuse the leftist government of Prime Minister Alexis Tsipras of being soft on anarchist and leftist militants. 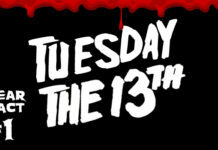 Why do Greeks fear Tuesday the 13th so much?